The beautiful Porsche 911 Turbo (997) has been beautified even more by the car tuning company Sportec; however, most of the modifications happen under the hood. 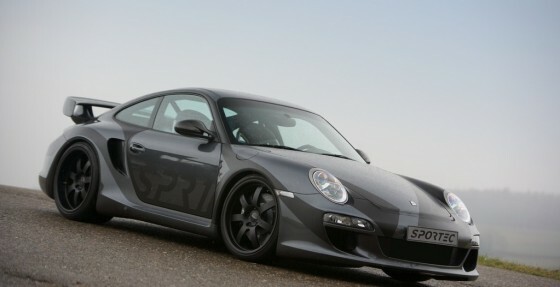 On the outside the Sportec SPR1 FL looks like a standard Porsche 911. Sportec was able to squeeze out a whopping 858 horsepower from the 3.6 liter twin-turbo boxer engine. 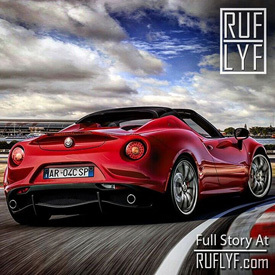 Power is sent to all four wheels; the car rockets from standstill to 62 mph in 3 seconds and goes on to 124 mph (200 km/h) in under 8 seconds and after another 10 seconds it has already reached 186 mph (300 km/h). The high speed journey comes to an end at 236 mph (380 km/h). The massive horsepower gain comes courtesy of new hybrid turbocharges with a high performance intercooler, a smooth flow air inlet and a carbon fiber ram air induction system, a new exhaust system, titanium connecting rods, and continuous camshaft phasing. To put the power to the ground effectively, a new high performance clutch and a limited slip differential was added. Visually, the Sportec SPR1 FL Porsche 911 Turbo doesn’t look too different, a new more aerodynamic rear bumper is added with LED taillights and bigger more aerodynamic mirrors are also installed.